If you believe that relocating to a new country is exciting and holds the promise of new adventure, then Evolve Mobility shares your belief. Evolve Mobility understands that your journey shapes how you evolve in your new country and into the scheme of your life. Evolve believes that in assisting you in one part of the process, they will create an amazing relocation experience for you. They want to set the tone for the next stage in your new life. But what makes this newcomer to the moving and support services industry in Vietnam so different? Evolve Mobility is the latest start-up to successfully launch in Vietnam’s exciting start-up eco-system. 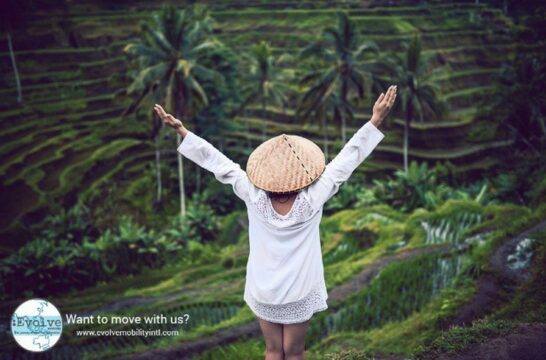 Headed up by its Founder and Managing Director, Vietnamese National, Hoa Vu, Hoa has 20 years experience in the International Relocation Industry in Vietnam. Within this 20 years, Hoa has set up strong contacts with International Moving Companies all over the world who are supporting her efforts. She has in-depth knowledge of customs clearance, international packing standards and insurance. Over these years she has set up and managed warehousing, operations, sales and quality control. Through this experience and “on-the-ground” communication with clients, crews and customs she was able to uncover a real need within the industry for a socially and environmentally aware business strategy. Without a doubt, the packaging industry worldwide is a large contributor to waste. 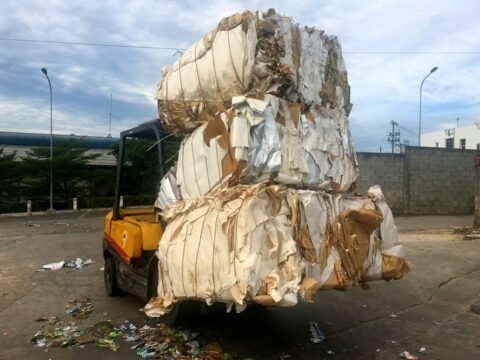 When most moving companies qualify “recycling” as using boxes for local moves, Hoa felt it was time to move the industry forward and to start a company that contributed more fully to the preservation of the beauty of Vietnam. Her vision was realized with the partnership with Karta VN who have adopted environmentally aware end to end program. Karta is a local Vietnamese company that manufacture boxes out of 100% recycled material in Vietnam. 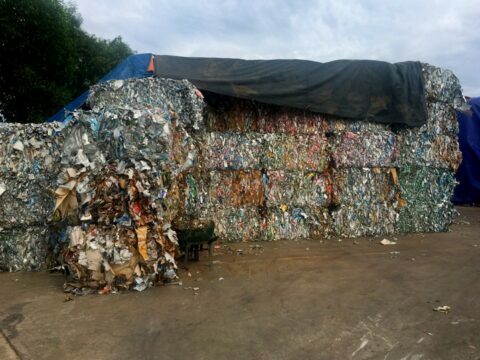 Furthermore for any boxes or material that comes in through inbound moves and may not be up to international standards to be reused for packing, Karta collects that material to process it and turn it back into material that undergoes full quality control inspection after recycling. Hoa s vision extends to a strong social responsibility as well. Clients are encouraged to allow Evolve Mobility to collect any unwanted items for the reuse/ recycle/ repair program. These items will be stored at the brand new warehouse for a monthly charity bazaar. This brand new purpose built a warehouse is only 20 minutes from the centre of HCMC town and has a designated area sale and brand new restroom facilities to accommodate all visitors to the bazaar. Refreshments will be available. Each month the date of the bazaar will be promoted by way of Evolve Mobility and other partners Facebook and Instagram. The date of the charity bazaar will be determined by the number of donations obtained month by month. Best offers will be accepted on the day and all proceeds will go to a different selected Vietnam charity each month which will also be advised to the public by way of Facebook and Instagram. Monies raised will be made public and each charity will advise each month how the donation has been allocated. Someone’s trash is someone else’s treasure! Hoa is embracing a new business model whereby packing staff are paid above industry standards and crew and supervisors receive yearly bonuses, over a “shareholder supremacy” model where the shareholders receive the bonuses. With the launch of the new website and staff with a digital marketing, and e-commerce background the website will be developed in three phases seeing an improved user experience with each planned development, all scheduled for 2018. 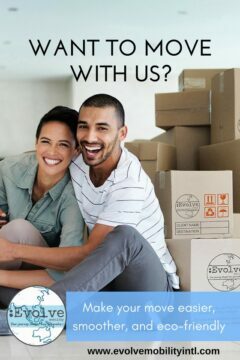 Visit Evolve Mobility at www.evolvemobilityintl.com for moving services and support and care services. Follow them on facebook at Evolve Mobility and Instagram – @weareevolvemobility for all updates on the bazaar sale dates as well as other codes that will be made available for Evolves audience at coffee shops and other partners around town, throughout the year.